Delighted could never do justice to express our pleasure with the results of the landscaping work you recently completed at our home. Your professionalism was only outdone by the incredible transformation you made to our front yard. 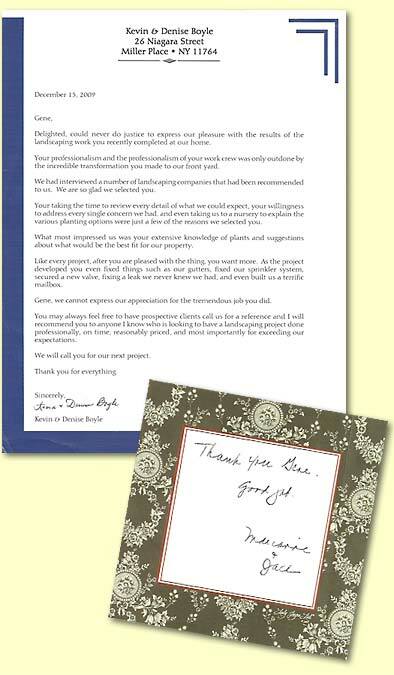 What impressed us most was your extensive knowledge of plants and what would best fit our property. Thank you from the bottom of my heart for all your honesty, integrity and help with my repairs and landscaping. Thank you for being someone I can rely on. It’s hard to find people you can trust to do the right thing. Thank you Gene. Good job.